Introduction to: Hans Coler over-unity device, the Moray and Hubbard Coil, wireless transmission of electricity and earth. 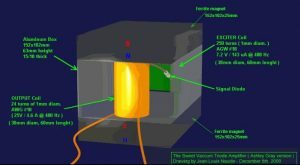 The story behind free energy and its development/construction has been blocked by commercial interest and governments. The suppression by the US government and corporate America is based on new technology that will change the lifestyle of the ordinary citizen. Find it important for us to be and stay dependence on fossil energy sources, makes us very vulnerable for the monopolistic and totalitarian power play currently in use so that we as humans can be manipulated & controlled otherwise be able to move freely move including entering space and through the water. The story stranger than science fiction. 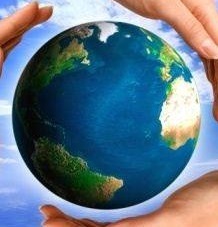 Why it is important to know what did happen to the earth and humanity because of it. Withholding these devices/knowledge is equal to a crime against humanity. 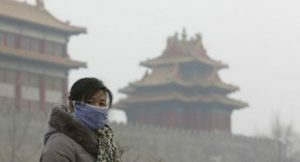 These are nor should er be a climate change because of CO2 and other gasses entering the atmosphere. Important now to remember this for the future there aim now to let the max temperature level increase to a point where methane located at the bottom of deep troughs in the ocean will start to be release is reached and the changes to the climate become in-reversible. Not an accident but the result of a secret agenda. The ones left behind should realize what and who was behind it. The secret agenda and intentional mass slaughter of humans under cover of calamity. The changing of our atmosphere to be more conducive to the new alien races in hiding, I do realize that it is not possible for many to believe it now but that will change in the future and than it is time to act. Store it for the time being in your brain and watch what is going on. To depopulate most of the current human population and taking of control by others. A second attempt on earth the first time it was called the big flood, ( Zecharia Sitchin) with the exception of Noad who did build his Ark on request and stealth assistance by E.N.K.I. From the clay tablets is not really possible to establish if the Annunaki were the cause of this big flood or just did know what was going to happen and kept it a secret. However, we do know based on tablets that they tried to eradicate humanity by creating a drought using scalar waves and when that did fail by introducing illness but failing again. This time we know and have proved that it is a set-up, by influencing (raising)the temperature on earth which should result in the release of large amounts of methane now present in the deep trough in the ocean and be sabotaging earthling of interfering. The History and background of this invention listed as being Willi von Unruh and Hans Coler. It started in 1920 and with two different solid-state energy generators. 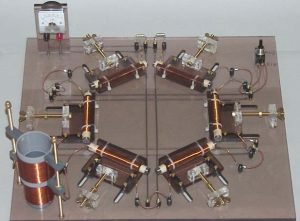 The M machine ( Magnetstromgerate) and the S machine or Stromererzeuger which would produce a much higher load.For the 3 first time demonstrated in Berlin 1920 and able to power five 1000 candle lights and was powered by small Leclanche cells. Based on the description now also assumed to be the same in the invention as claimed by Norrby and as such demonstrated too. It was initially denied patent protection by the German Patent Office as being a perpetual motion device. For the time being, it was ignored, and the records relating to it were buried in hidden archives, possibly because the scientists who had to pass judgment could not understand the physical reason why the invention actually worked. Nothing, on the cosmological scale, is virtually everything. It is the home of all the invisible fields, rippling with the activity of every real force. Every kind of matter produces a field, the field all mesh in complex ways, often causing interference with other fields. Fields are the “stuff” of the virtual vacuum. A light particle is nothing more than a large interference in the electromagnetic field. Apart from interaction with matter of other fields, a field will not be changed in the vacuum. It will not go away; it cannot. Fields are a fundamental part of the vacuum structure itself. Fields in their most quiescent state form the virtual vacuum itself. Even when everything that can be removed from a vacuum has been removed, the Higgs field remains. `”Imagine the entire universe permeated with a constant magnetic field”. One need not imagine, for it is true. It is clear from experimentation that certain results appear that are not explainable without the presence of a field. The field consists of an infinite number of one-dimensional North and South poles in an incoherent state- incoherent due to the presence of a multitude of other interfering fields formed by other North and South poles, or particles or quanta. Thus the virtual vacuum is far from empty, far from nothing, it is rather seething with potential energy as the primordial powerhouse of everything in the universe. Official interest was shown by heads of the German navy who felt an investigation was necessary, and an official report was produced. A highly secret Nazi effort apparently had the goal of using his invention to recharge submarine batteries, without the need for the sub to surface. German archives show that Unruh and Coler were working together by 1925 demonstrating their 10-watt machine. Managed to get it studies by three professors with a positive recommendation. W.O Schumann, M. Kloss, R.Franke. 1933 Unruh and Coler did build a 70-watt machine and 1937 a 6 k watt one. It did power the house of Hans Coler for 3 years but lost to a direct hit by a bomb during WWII. There where two investors involved and did result in some wrangling after the war. 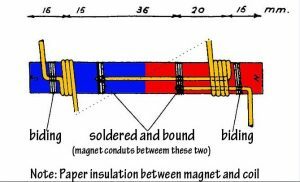 In the devices mentioned above ferric magnets where used and from the insider leakage of information do know that the main aliens present in Dulce have been collection natural magnets known as lodestone. Nothing is known about any special treatment prior to use and processing to use in the energy generating device. The natural variants are less stable than the artificial produced once but that could also be an advantage if the assumed origin of energy as mentioned by Unruh would be the source. The energy production does only take place after the system starts resonating and is a problem. The natural magnets made from lodestone will resonate much easier/faster due to being present in the earth crust. Reconstruction of the Hans Coler device in 1946. One 1946 demonstration, conducted in the presence of British authorities, an electrical charge measured at 450 milli-volts was maintained for three hours until a soldered tag disconnected and the meter slowly dropped back to zero. It is clear from experimentation that certain results appear that are not explainable without the presence of a field. The field consists of an infinite number of one-dimensional North and South poles in an incoherent state- incoherent due to the presence of a multitude of other interfering fields formed by other North and South poles, or particles or quanta. Thus the virtual vacuum is far from empty, far from nothing, it is rather seething with potential energy as the primordial powerhouse of everything in the universe. 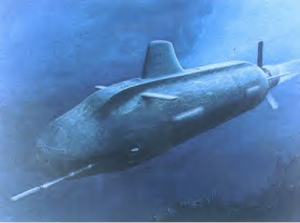 The Moray Device and the Hubbard Coil were Nuclear Batteries according to Paul Brown, Collected Research Monographs, Vol. 1 Cadake Industries, 1987. The natural radioactive decay elements emit three primary forms of radiation; alpha, beta, and gamma. Alpha par-tickles are helium nuclei or helium ions consisting of 2 protons and 2 neutrons giving them a mass number of 4 and each alpha particle carries two positive charges. Beta particles, on the other hand, are high-speed electrons meaning that each beta carries a single negative charge. Gamma rays are photons and consequently, there is no need to discuss them here. An alpha or a beta particle in motion constitutes a current element. Several charged particles in motion is an electric current and are measured in amps. What he trying to tell you is that alpha and beta radiation is a naturally and electrical phenomenon but these radiations have no polarity. Natural radioactivity is emitted in all directions so that you end up with no net current or voltage. The object of a nuclear battery is to provide polarity to these emissions to achieve an electric current. As the particles are absorbed, the velocity goes to zero and the magnetic field collapses, yielding a variety of flux to produce an emf in an induction coil. Now, the amount of power contained in these particles is phenomenal. A charged particle in motion carries with it a magnetic field of a magnitude determined by the particles charge and velocity. Energy is stored in this magnetic field and is released as the particle is slowed or absorbed. The opposite principle of accelerating a particle by pumping energy into it. For instance, an alpha particle traveling at 67% the speed of light is absorbed in 6 mills of copper; the energy produced during this absorption is equivalent to 10 watts. Granted, this is 10 watts for only a microsecond, but if you are using a 1 curie alpha source then you are now talking about 37 billion alpha particles per second. Madame Curie is quoted as saying “The complete transformation of a gram of radium into the lead, produces about 100,000 times more energy than the combustion of one gram of hydrogen.” And Ernst Rutherford said, “one pound of radium would radiate energy at the rate of 10,000 horsepower.” Hopefully, it is now obvious to you that the energy content of radium is enormous. He then starts to explain the working of The Moray Device and the Hubbard Coil. He points out that the use of radium is common to both of the devices in our discussion. I will briefly interrupt to point to another aspect and difficulty to trigger some of these free energy devices. Prior to and during WW2 copper wire was isolated using a barium coating and barium was used because of its property to lower wire resistance. What most do not realize the barium contains not only many isotopes but also traces of Radium. It is considered safe but this might be an accelerator part of these devices. In case of Hans Coler, he was not aware of it and used the material requested and probably wire with a ceramic coating. Barium found in the Earth’s crust is a mixture of seven primordial nuclides, barium-130, 132, and 134 through 138. In total, barium has about 50 known isotopes, ranging in mass between 114 and 153. The most stable metastable isotope is barium-133 with a half-life of approximately 10.51 years. Five other isotopes have half-lives longer than a day. Barium also has 10 meta states, out of which barium-133m1 is the most stable with a half-life of about 39 hours.Barium-130 undergoes very slow radioactive decay to xenon-130 by double beta plus decay, and barium-132 theoretically decays like xenon-132, with half-lives a thousand times greater than the age of the Universe. The abundance is ~0.1% that of natural barium. The radioactivity of these isotopes is so weak that they pose no danger to life. Of the stable isotopes, barium-138 composes 71.7% of all barium, and the lighter the isotope, the less abundant. Let’s look at conventional nuclear batteries and see how they convert alpha and beta decay into electricity. But first, I should tell you about how exposure to these radiations alters the dynamics of an electric circuit. A conductor exposed to these radiations has its resistance reduced and its conductivity increased while dielectrics become partial conductors and their conductivity is not described by Ohm’s Law. These characteristics have been known by the scientific community since 1903. In addition to that, in 1916 it was shown that by using a weak solution of radium in conjunction with radio aerials near the antenna or tuning coil greatly increased the receptivity of the radio, even in circumstances where no stations could be received before. Most of these phenomena are explained by looking at the atomic scale to see what happens as a particle is absorbed. For an alpha particle being absorbed in copper, the panicles traveling at a high rate of speed and has a large amount of kinetic energy which is transferred to the electrons of the copper by the collision. The alpha produces some 86,000 ions before being absorbed. These ions are then free electrons in the conductor in addition to those normally present. This process is called the Multiplication Factor of the cell. That is because for every incident beta particle you get say 20,000 electrons. Conventional nuclear batteries are composed of cells of several types. looking at the basic four. The commonly known beta cell as first demonstrated by Mosely in 1913, was a beta source sitting on a feedthrough insulator at the center of an evacuated conductive sphere. As a beta particle leaves the source, it gives the source a net positive charge and as this beta particle is absorbed by the sphere it contributes a negative charge to this electrode. Further charges increase the difference in potential and current may be drawn from this to a load in the usual manner. An alpha source may be substituted by the principle remains the same. This is the beta or alpha voltaic effect and batteries of this type have been built as large as 2,000 watts that could fit into the palm of your hand. The contact potential difference cell or a class 2 nuclear battery: Simply put, this is a conventional battery composed of a stack of plates composed of materials with different work functions only no electrolyte is used. Instead, we immerse the plates in a radioactive gas. The life of all nuclear batteries is proportional to the half-life of the source material used. For radium, the half-life is 1,600 years. The advantage of this type of cell over the beta cell is its multiplication factor. One high energy beta particle ionizes many gas molecules before it is finally stopped. Each of these new charged particles is effective in placing a charge on the electrodes. Cells of this class commonly have multiplication factors of about 200. The third type is the class 3 P-N junction cell. By simply exposing a p-n junction transistor to alpha or beta bombardment, the transistor produces power to drive a load. Cells of this type have multiplication factors in the realm of 200,000 times. And finally, the thermo-junction type or radioisotope thermo-electric generator commonly called the RTG. This is the most dependable and the least efficient type of cell. Radioactive source materials are hotter than their surroundings due to the self-absorption of particles. By simply placing a thermocouple in the vicinity of this heat source, the energy is converted into electricity. Cells of this type operate at only about 20% efficiency but Voyager is equipped with an RTG. I believe the simplest type of nuclear battery is the class B type. Simply put, the device is a radioactive wire. Using a conventional battery and load utilizing a radioactive wire to complete the circuit. As current is drawn from the battery, it is amplified so that the full load current is not drawn from the battery. If you wind a transformer utilizing radioactive wire, the transformer acts as a current amplifier. This patent is closely related to the Hubbard coil. The McElrath patent; a cold cathode vacuum tube nuclear battery. This application was filed in 1931. I believe if Moray ever filed for the patent, he must have had a conflict with this patent. The Scappeller device and wireless transmission of electric energy. In fact, they say Tesla could be considered the father of the Schappeller device. The Scappeller device is a hollow metal sphere which is dipolar, a pole at each end. It is hooked up to a battery and functions as half a rotor-stator system. Internally, some of it is filled with an electret, a fluid which in this case conducts magnetism but not electricity. Energy enters at both poles and is both positive and negative, each entering from their respective poles. The Schappeller device functions also as a radio transmitter (if I understand correctly) and emits radio waves at its poles. In the center, where they meet a standing wave is produced (also called a scalar wave) which compresses the incoming energy resulting in a type of atomic fusion in which positive and negative aether combine under compression to form hydrogen. This incoming aether at either end takes the form of a thyroidal vortex on both ends. The energy of the plasma is somehow (I don’t know yet) converted into electrical energy which runs the machine. Other receiving spheres, up to six or eight, are positioned around the first sphere and form a power producing unit. This device, by itself and unconnected to any sort of electric circuit, can produce magnetism of a thousand times greater than known during the early 20th Century. This alone can turn the props of a ship, for instance. Besides this, electrical energy can be broadcast using the dipole system and two waves (on in the air and the other through the earth) to power any electrical device on the planet. Again, standing waves are used and the Tesla generating system. (I am talking here about Tesla’s method of wireless electric transmission, not the Schappeller device but they apparently have similarities.) The waves can be made to cross each other anywhere on the earth or on the other side of the earth. At the points of the standing wave, where there is no motion, (scalar wave), electrical energy can be received using an antenna. This is ultra-low-frequency energy, ELF waves. A very long antenna is necessary. The interesting thing and not said elsewhere until this report is that Tesla’s low-frequency waves 6-9 Hz, the frequency of the Schappeller device, and the world famous Schumann Resonance are all the same thing. The earth is used as a storage device since it is already in vibration at 10-12 Hz. The earth, due to its huge cross-sectional area, is an excellent conductor and even more with respect to high-frequency alternating current. But that does not explain how, according to Tesla, the transmitter can send its energy specifically to the receiver when the energy should instead spread out and dissipate as soon as it enters the ground. And if the current is indeed conducted through the ground, where is the return path for that current? How can the transmitter send megawatts of power without losses to a receiver halfway around the globe without heating or electrocuting everything in between? First, notice that both the transmitter and receiver ideally use spherical metal terminals. Why spheres instead of thin metal rods like conventional antennas? Because what is being broadcast is not transverse EM waves, but longitudinal. Tesla figured the terminals functioned as charge reservoirs that could give and take electrons from the ground through the oscillating secondary coil. By doing so, the electrical vibrations could be impressed upon the earth and by resonating the entire planet also affect the receiver. If the transmitter’s terminal serves only as an electron reservoir, then it is spherical mainly to minimize electrical leakage into the surrounding atmosphere. This particular equation shows that even if you have a uniform voltage field, meaning one in which no electric field is present (because electric field is the negative gradient of the voltage, and a uniform scalar field has no gradient) then as long as the voltage oscillates over time, that uniform field will produce a divergent vector potential in that space, and this, in turn, would oscillate electron density. Tesla’s system was capable of electrically vibrating the entire planet, and when that happens you get a voltage field that is for all practical purposes locally uniform along any given circumference around the globe while varying rapidly over time, and hence it creates an oscillating divergence in the vector potential everywhere. Well, there is something very special about an oscillating divergence in the vector potential, namely that it creates an oscillating time field that extracts energy from the flow of time itself. If you have ever wanted to know the secrets of free energy, this is definitely one of them. Under ideal conditions, the transmitter sends an information signal that nudges the receiver into extracting free energy from the time stream. Some would call it extracting the zero point energy. Due to the first equation showing the relation between divergence and charge density, charges vibrating in a comprehensive/expansive manner automatically extract free energy that adds to the amplitude of their oscillation. More likely it is both processes in combination: since the transmitter’s top terminal is opposite in voltage from its bottom ground connection, each sends a longitudinal wave of opposite polarity. When these hit their respective parts of the receiver, that provides the necessary potential difference to induce a current. But let’s remember that longitudinal waves (oscillating divergences in the vector potential) affect electron density, so between transmitter and receiver, the electrons within the earth rapidly come under the influence of the underground longitudinal waves radiating from the bottom terminals of both transmitter and activated receiver. Therefore a compression standing wave will arise in this electron distribution, assisting the entire process. That is how wireless transmitters and receivers using straight metal rods as antennas instead of spheres still accomplished their jobs. The key is that whereas DC currents involve a collective motion of electrons in one direction, and AC currents involve a collective motion that first goes forward then backward, what Tesla’s system employed was a collective compression and expansion of electrons. That follows from the coupling between divergent vector potentials and electron density. 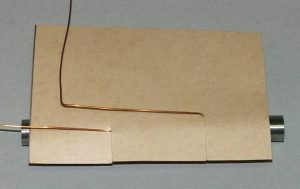 It is unique because a wire carrying such a “current” will have both ends pulling or expelling electrons at the same time. With DC, one end takes electrons while the other expels, same with AC except the ends switch roles with every cycle of oscillation. But with Tesla’s “cold electricity” both ends give and take simultaneously. (While AC-induced standing waves do similar, only cold electricity can do this at low frequencies, and for wireless transmission, Tesla said lower frequency was better). This means there is zero net current flowing through the wire. And without current, resistance has no effect. In that case, the electrons do not form an actual current so much as the couple to the vector potential and amplify it along the way via the free-energy-from-time principle. In early day to power the telegraph poles earth batteries were used and you can find many patents in this respect. As mention above the earth is a good conductor and well suited for current transport. Also, you can extract electricity from the soil without much of a problem other than anode corrosion. Same as with free energy located in the direction of the magnetic South-North poles on earth.